The electorate of North Sydney was one of the original federation seats. 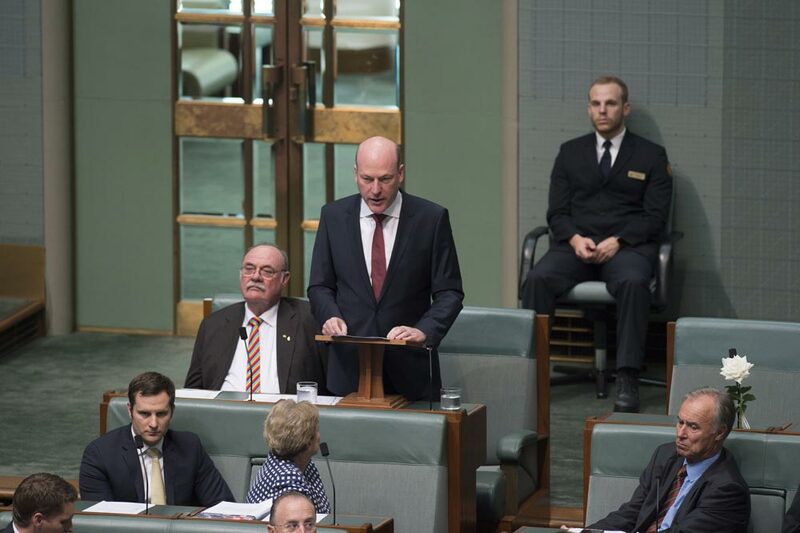 In my First Speech I said “It is a humbling experience to rise in this place for the first time as the representative of the people of North Sydney. I will return that faith by playing my part in building a more prosperous, fairer and sustainable Australia. I am privileged to represent a part of Sydney which combines incredible natural and man-made beauty with vibrant and diverse communities. North Sydney covers an area from Sydney Harbour in the south to Fullers Road, Victoria Avenue, Warrane Road, Warrane Reserve, Eastern Valley Way and Scotts Creek in the north and from Middle Harbour, Wyong Road, Macpherson Street, Military Road, Falcon Street, Bent Street, Forsyth Park, Montpelier Street, Eaton Street, Rawson Street, Kurraba Road, Andersons Park and Neutral Bay in the east to Punt Road, Pittwater Road and Lane Cove River in the west. Suburbs include Artarmon, Castlecrag, Cremorne, Crows Nest, Greenwich, Henley, Hunters Hill, Kirribilli, McMahons Point, Middle Cove, Naremburn, Northbridge, North Sydney, Riverview, Waverton, Willoughby and Woolwich. 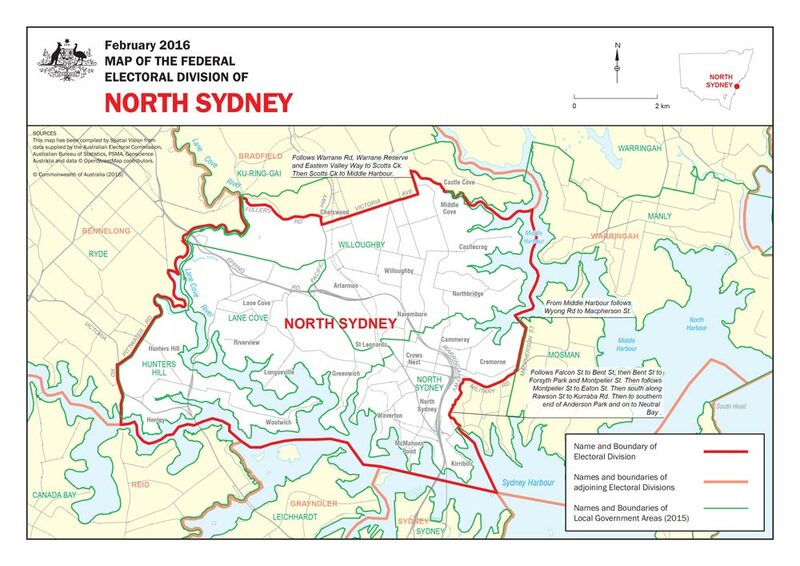 For a list of suburbs in the electorate and a map of North Sydney visit the Australian Electoral Commission website.